French author Echenoz (Piano, 2004, etc.) quietly chronicles the final ten years of composer Maurice Ravel’s life. There’s nothing flashy here—no glitz or glitter, nothing overstated or overblown. The story begins in Ravel’s house at Montfort-l’Amaury, “a small dwelling [which] is itself stuffed with small things,” including the diminutive composer. We follow his journey on the ocean liner France, his triumphant, four-month American tour in 1928, his return to France and his wanderings to the Basque country where he was born. Along the way, we learn of Ravel’s eccentricities, his ritualized eating habits, his dandyism, his crippling insomnia and, of course, his musical proclivities (e.g., that Ravel is not a virtuoso, his hands being too small and the physical demands of performance too great). 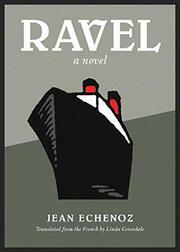 Echenoz’s use of dense detail anchors the reader firmly in Ravel’s world, as in the depiction of an accident that accelerated the composer’s final physical decline: “They’re about to turn left into the Rue d’Athènes when another taxi speeds out of the intersection, this one a Renault Celtaquatre driven by Henri Lacep, sallow complexion and checkered cap.” We learn of the ironies of Bolero, Ravel’s most famous composition, yet one that he felt had “no form…no development or modulation, just some rhythm and arrangement.” (At the end of one of the first performances of this piece, Ravel is forced to agree with the woman, who designated him a “madman.”) Ravel’s commitment to the integrity of his art extends to his icy disapproval of Paul Wittgenstein’s improvised “additions” to Ravel’s Concerto for the Left Hand. An exquisitely written novel in which not much happens, yet everything is significant.